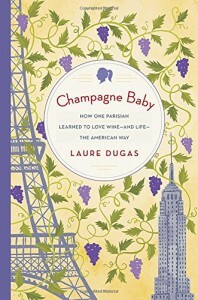 An excellent memoir of a young French lady, who was raised in a wine oriented family but with no real interest in the business. Almost on a lark, she takes a position in her uncle's business, promoting his wine in America. She discovers that she really does love the business, taking jobs in several different areas. But the book is so much more than just the wine, it's an entertaining look into her growth as a person, and the discovery of her own mind. Interspersed with her story are insights into the wine business, from the growing of the grapes to the different varieties to how to describe your own tastings and feelings of wines. While her story is entertaining, I really enjoyed these insights. I hope she writes another book about the next chapter in her life.